Everyday life includes moments when everything falls apart, stops working or starts to make strange noises. Air conditioners are subject to the same rules many of us try to avoid – anything that can go wrong, may go wrong! This is particularly true if you’re placing maximum strain on your air conditioning system. Never underestimate the value of a proactive air conditioning service. Brisbane is famous for hot and humid weather; so don’t take the chance of your air conditioner giving up one day. Bypass the ‘oh no’ moments with H&H Air Conditioning! No matter how often you use or don’t use the unit a regular Brisbane air conditioner service will make all the difference. Brisbane residence need to conquer problems before they happen – all air conditioning units, whether they be ducted or split, require maintenance. When was your last air con check-up? You wouldn’t expect your car to keep running reliably without its scheduled service and tune-up. You wouldn’t expect your body to perform at its best without committing to regular exercise and a balanced diet. Why should your air conditioner be any different? It doesn’t matter whether your air conditioner is in your home, office or commercial environment. Embarking on a regular schedule of preventative maintenance and servicing when it comes to your air conditioner makes perfect sense. That is, unless you enjoy constantly reaching into your pocket to pay for costly repairs and suffering through inconvenient, preventable breakdowns. Isn’t it time you booked in for your air conditioning service in Brisbane? So now you realise the need! What next? You could do a bunch of searches for ‘Air Conditioning Service Brisbane‘, ‘Air Conditioner Service Brisbane‘ or ‘Air Conditioning Services Brisbane‘ and find a host of options, but H&H Air Conditioning is Brisbane’s trusted provider for air conditioning servicing and maintenance, so why look anywhere else?! If you have questions or want to book in an air conditioning service, call today on (07) 3276 1800. Homeowners – Because your air conditioner isn’t responsible for the comfort of a whole office, we recognise the cost of a continuous plan and recommend an Annual Maintenance Plan to ensure everything is ticking over nicely. You don’t need to be a Brisbane air conditioning installation customer to draw up a Maintenance Plan with one of our experienced staff; contact H&H today and make sure your air con unit continues to perform year after year. Commercial customers – The air conditioner is often the unsung hero of the office environment. It improves the comfort of already stressed workers and allows your employees to focus on the work at hand, instead of sweltering or shivering through the day. Our qualified maintenance contractors provide regular Monthly Maintenance Plans for all commercial equipment; affordable and customer focused, H&H are there for your business. For Brisbane air conditioner service plans for your office or workplace, talk to the experts at H&H Air Conditioning today. Air Conditioner Service Brisbane – Why Is It So Important? Basic Brisbane Air Conditioner Service Maintenance – The Stuff You Can Do Yourself! As they say, an ounce of prevention is always better than a pound of cure. Your air conditioner is no exception to that rule. There’s a lot you can do to extend the life of your air conditioner, improve its performance and ensure that it operates as efficiently as possible. You wouldn’t get behind the wheel of a car without knowing how to drive properly. The same thing goes for your air conditioner. It can make for dull reading but you should take the time to familiarise yourself with your air conditioner user manual. Getting the best from your air conditioner relies on you understanding how it functions, what it’s capable of and how to get the best out of it. You might not realise how important it is to clean your air conditioner regularly. Your user manual will tell you what you need to do to keep your air conditioner clean. Modern air conditioners are easier to clean than you might think. The cleaning process for your air conditioner will depend a lot on the type of air conditioner you have: Split system, multi split system, reverse cycle split system, ducted air conditioning system or reverse cycle ducted system. Obviously, a split system is a lot more accessible than a ducted air conditioner. A Brisbane split system air conditioner is comprised of two separate units: one part sits outside and the other is mounted on a wall inside. Cleaning is a relatively straightforward process. You need to turn the unit off first and vacuum away any visible dust from the exterior and interior of the wall-mounted unit. The next step is to wipe down the unit with a damp cloth. Follow your air conditioner’s user manual to open the front cover. You may need to slide the fins out of the way. You can then access the filters. Unclip the filters and remove them from the unit. Vacuum the interior of the wall-mounted unit, including the coil, thoroughly. Your air conditioner’s filters collect dust, small particles of debris and any airborne mould spores. Over time they’ll become blocked, impeding air flow and reducing your air conditioner’s performance. Devoting the time to clean your filters properly will mean cleaner air and improved function. Once you’ve removed them, you can clean the filters gently with warm soapy water. Rinse them thoroughly under running water before leaving them to dry. Once the filters are dry they can be refitted and the cover closed. If you struggle to follow the cleaning instructions in your manual, most air conditioning manufacturers have uploaded a ‘how to’ video online. In relation to the external part of your split system (i.e. the bit that sits outside), you should ensure that it’s always kept clear of dirt, rubbish and vegetation. Windy conditions mean that paper and other debris can get caught up against the unit and impair its proper operation. The reality is, your air conditioner is suffocating. Subject to the specific make and model of your air conditioner, the outside unit can be switched off and gently flushed out with a garden hose and left to dry before being switched back on. If you have a ducted air conditioner, your unit is probably located in your roof space. It does all of the heavy lifting. The cooled air is then pumped to the rooms of your house via a system of ducts. Accessing the unit can prove difficult, depending on the configuration of your roof space. Nevertheless, it’s up to you to ensure that you clean the air return on a regular basis. That’s the grill-like square or rectangular vent in your ceiling through which air is returned to the air conditioning system. Most air return filters can be easily accessed by unlocking the clip and allowing the return cover to open down towards the floor, giving you access to the filter. Again, you should wash the filter thoroughly in warm water before letting it dry completely and returning it to the unit. A clean air filter means an unimpeded flow of air, which is much easier on your air conditioner and will prolong its life. Accessible drainage trays in your air conditioner should also be emptied and cleaned so as to eliminate the possibility of stagnation or mould growth. Whilst there’s a lot that you can and should do yourself, some things are best left to a Brisbane air conditioning service professional. You need to read the fine print in your air conditioner warranty. Most are worded in such a way as to impose an obligation that you commit to regular servicing of your air conditioner. That doesn’t mean you have to do it all yourself. It means enlisting the services of a suitably-qualified professional. Neglecting to do so might mean that you’ll find it difficult to enforce the warranty if something goes wrong with your air conditioner. Your user manual should set out a timeline that you should follow for professional air conditioner servicing. Putting the due dates for servicing in your diary or calendar is one of the most important things that you can do to prolong the life of your air conditioner. Whilst one of the best times to get your Brisbane air conditioner service done is at the end of winter, now is as good a time as any if you haven’t already booked in. As temperatures steadily rise and humidity increases dramatically over summer, air conditioner breakdowns are a fact of life. Leave your air conditioner service in Brisbane at this time of year to the last minute and you might struggle to find anyone available. Following through and committing to a regular air conditioner service in Brisbane should be as much a part of the lead-up to summer as dragging out the cricket stumps and brushing off your outdoor setting. It’s a small investment, but one that will save you an awful lot of money in the long run. If you’ve got an air conditioner, you’ve made a substantial investment in a finely-tuned piece of machinery. Getting an air conditioner service in Brisbane on a regular basis will actually save you money. Regular servicing will mean that your air conditioner will run more efficiently and use less power, which is much kinder to your hip pocket and to the environment. Faults and wear and tear that would otherwise go undetected until a breakdown are picked up early. This means that replacement parts can be ordered in if need be, and you’ll avoid having to wait weeks for repairs to be carried out. Depending on who you choose to carry out your air conditioning services Brisbane work, servicing can generally be done at a time that suits you and your family and fits around your commitments. That’s a far cry from a costly and inconvenient breakdown that will happen at the worst possible time. 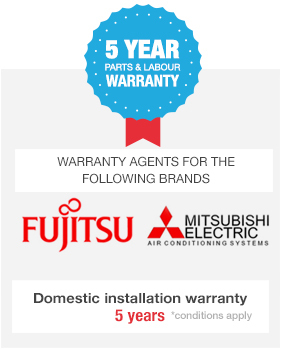 A regular, professional air conditioner service will also ensure that you’re ticking all of the boxes when it comes to compliance with the conditions of your warranty. H&H Air Conditioning Service Brisbane ticks all the boxes when it comes to great value for money and a commitment to professionalism for every air conditioner service in Brisbane. We’ll go above and beyond the call to ensure your air conditioner’s at its best this year and every year. Contact our friendly and responsive team on (07) 3276 1800 in the Brisbane office of get in touch via our online form.